We have recently shifted into our new house and the first priority of my wife was to set up our little garden with ornamental plants and flowers. We bought some of our favourites, including the double dahlia. Beside marigold what we planted and have since grown, a few days before our red and pink double dahlia started to come out of their sprouts. Today when almost fully grown and in bloom, I decided to take a shot to preserve our first dahlia flowers. This is the pink one, majestic and beautiful. For those who love flowers, I add here that dahlia is named after Swedish 18th-century botanist Anders Dahl. In German the dahlia was known during most of the 19th century as Georgia, being named after the naturalist Johann Gottlieb Georgi of St. Petersburg, Russia. 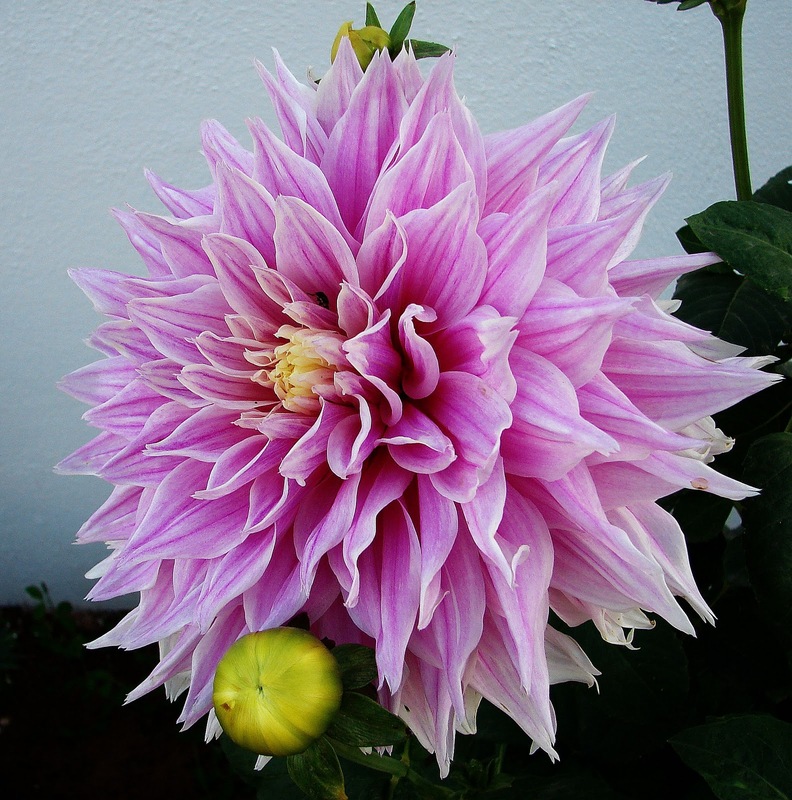 There are some three dozen species of dahlia, of these hybrid dahlia is usually grown as garden ornamental plant. Wish to come and see this for myself.